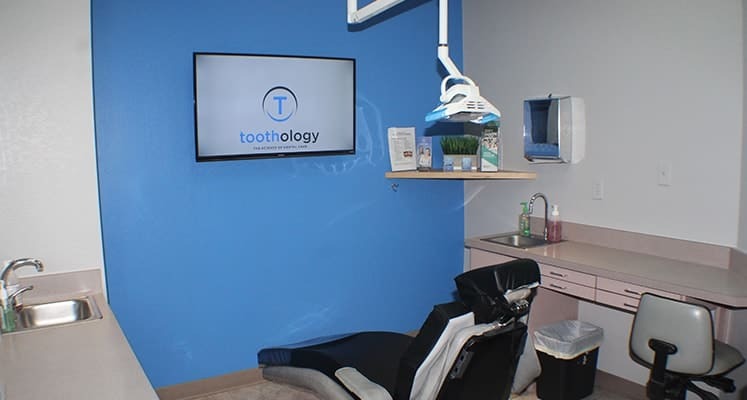 At Toothology, we take great pride in offering emergency dental services at our judgment-free, state-of-the-art office! We leave room in our schedule to ensure we can see you the same day you call. Instead of waiting in pain for your next scheduled appointment, we recommend that you contact our office as soon as possible, so we can provide the necessary treatment before the issue worsens. Have a Dental Emergency? Call (480) 949-5858! Dr. Aaron Jeziorski works hard to ensure his patients feel safe and comfortable at Toothology. One of the many ways he goes above and beyond for his patients is with his dedication to being there for them whenever they need it. As a trustworthy, skilled dental professional, he believes that his duty to the Arizona community extends beyond Toothology’s office hours. He gives each patient his personal phone number, so if they find themselves in need of urgent dental care, they can count on Dr. Jeziorski to be there! Unsure if your dental issue constitutes as an emergency? We’ve made a list of some of the most common dental problems that need to be treated immediately. If you have any of the following, we strongly encourage you to call us right away! If you don’t need emergency dental care at the moment, we recommend that you save our number or Dr. Jeziorski’s into your phone’s address book and keep a copy on your fridge, too. Since there’s often no way to predict when emergencies may arise, it’s important to have our number handy if and when one occurs!